Today I’m looking at 11 of the most popular titanium watches for men. So what are the benefits of titanium? Titanium watches are actually roughly 30 percent strong than stainless steel watches. Yet they weight less. Titanium itself is a dark grey material primarily found in rocks and sand deposits. Titanium was originally to be used by NASA space aircraft construction, although since then has found its way to be useful in other areas. One great benefit other than the lighter weight is that it contains an oxide film that doesn’t corrode or rust. This is useful for underwater use or general harsh environments. Also the metal is hypo-allergenic so its less likely to cause irritation to the skin when it perspires. Hope you find today’s post helpful. My favourite titanium watch would have to be number 7. Have a look through and see what would be your pick. 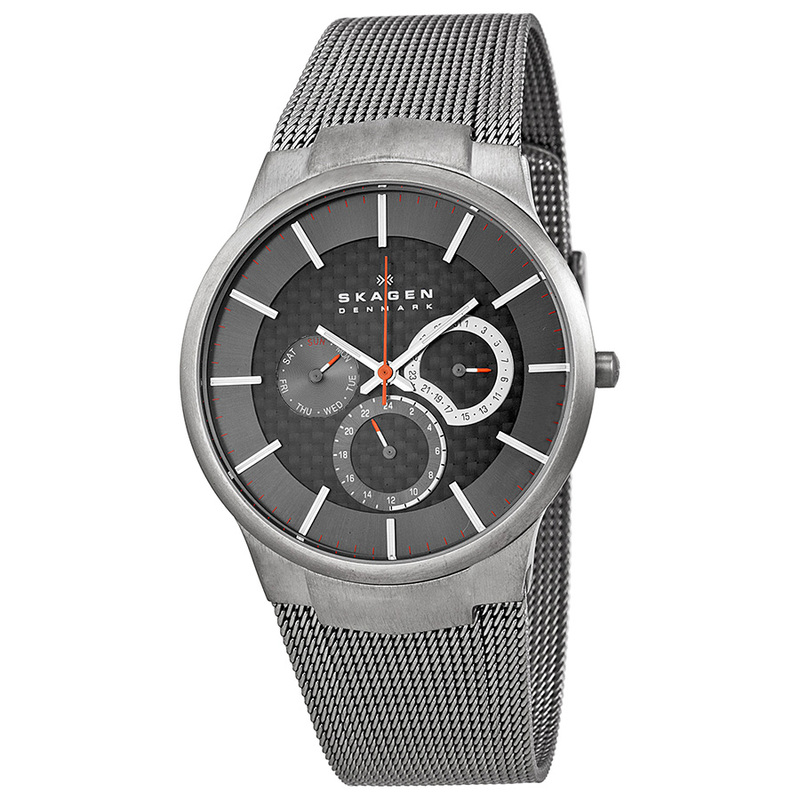 The first in our list of titanium watches for men is this popular slim style Skagen timepiece. 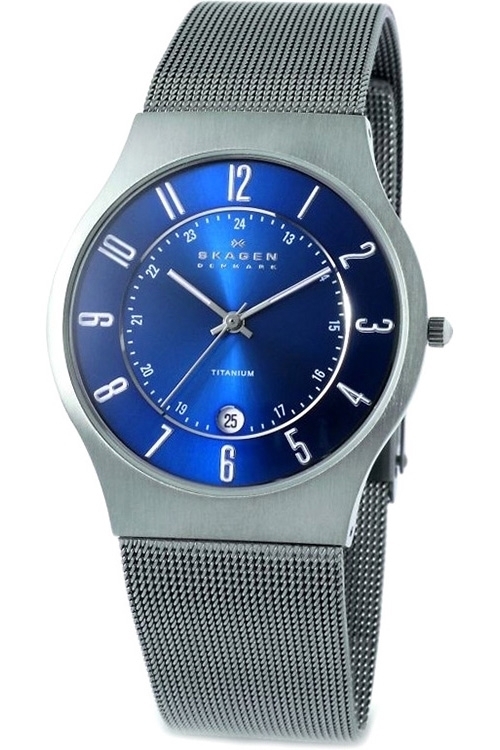 Skagen make a lot of titanium watches and this is one of a couple you’ll see on today’s list. This model has a round titanium case with a brushed finish and titanium mesh style strap. I like the deep blue of the dial and the way it has these nice large numerals around the outside of the display. With a small date display at the 6 o’clock position and a 30m water resistance rating it’s a handy watch for day to day wear. The watch itself runs on a reliable quartz movement. The next Skagen watch to be featured in our list of the best titanium watches is this cool looking 809XLTTM. A key feature of this watch is the multi dial black carbon fibre clock face with a date function and baton stule hour markers. Like the previous watch it fastens with a titanium mesh style bracelet that offers comfort and is easily adjusted. The watch runs on a accurate quartz movement and has a 30m water resistance rating. 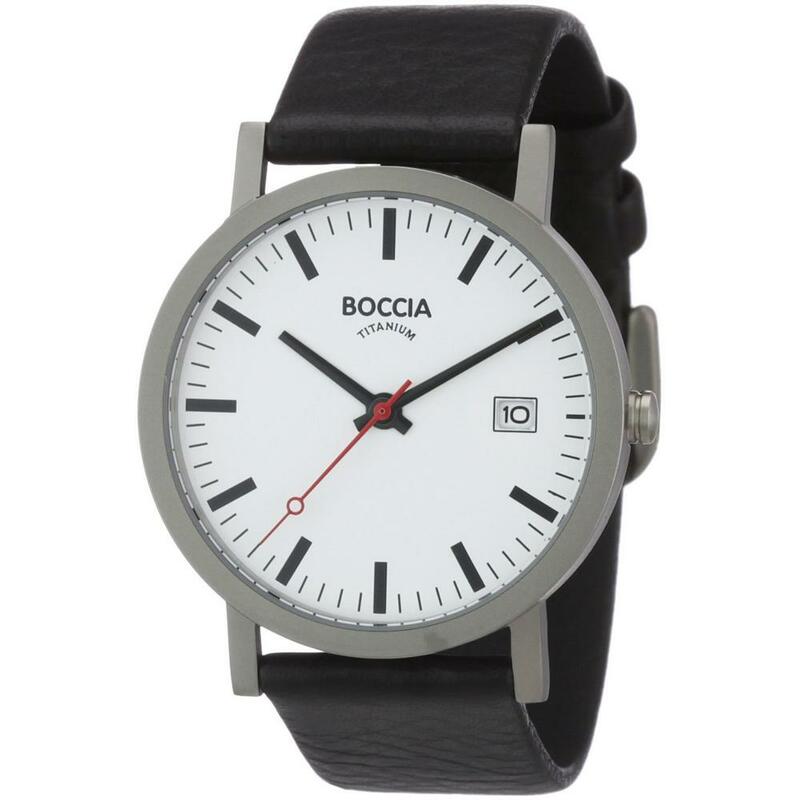 Boccia are a very popular brand for affordable titanium watches. They make so many titanium watches that they’re actually able to produce it at a much more reasonable price. This model has a nice large dial with a minimalist feel to it with just the date display available at the 3 o’clock position. It also has a better water resistance rating that the previous men’s titanium watches at 50m. The next impressive titanium watch to feature is this model from Citizen. Of course it features their popular Eco-Drive technology meaning the watch charges itself via light and never requires a battery change. It also has a high visibility dial with lume coating on the hands and hour markers. Extra features also include the sapphire crystal glass and 100m water resistance rating which are all signs of a high quality watch. My favourite aspect of this watch is the honeycomb pattern at the centre of the dial though. 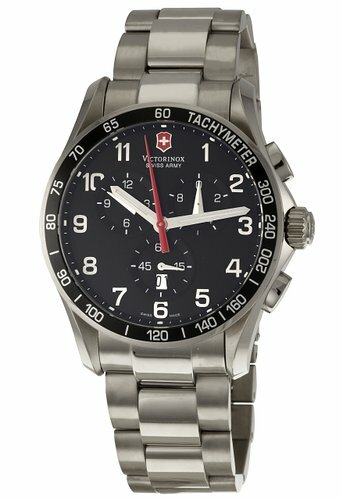 Victorinox Swiss Army are another popular brand for high quality titanium watches. The watch features a bold chronograph design powered by a Swiss quartz movement and features a tachymeter too. The highly scratch resistant sapphire glass also has an anti-reflective coating so you’re less affected by glare. 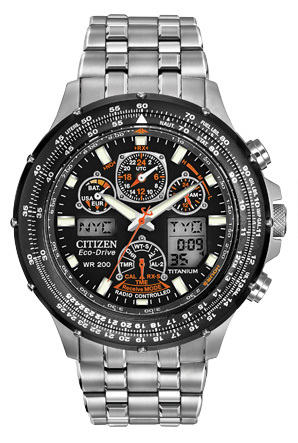 Citizen’s AT Skyhawk watches are very popular highly functional timepieces. They come in quite a few designs, this one I particuarly like for the orange detailing on parts of the dial. The casing and strap are made of titanium with makes it lighter yet stronger than stainless steel. It’s radio controlled and synchronises itself with atomic clocks around the world to ensure it remains accurate at all times. It’s full of awesome features such as a countdown timer, chronograph, world timer, perpetual calendar, 200m water resistance rating, and a power reserve indicator. The hands and hour markers are generously coated with lume and the LCD screen features a handy backlight. All in all an unbeatable price with it comes to multifunctional titanium watches. 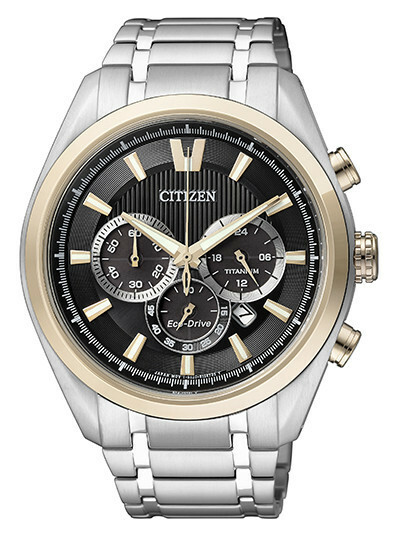 his next Citizen Eco-Drive watch is a very popular choice for those who love the black and white finish. The watch is high quality with its titanium build and Eco-Drive technology at the heart. It has a protective sapphire glass lens that offers exceptional scratch resitance too. I really like the design of the dial on this one, it has that cool looking honey comb pattern on show again. This watch also has a brilliant 100m water resistance rating. 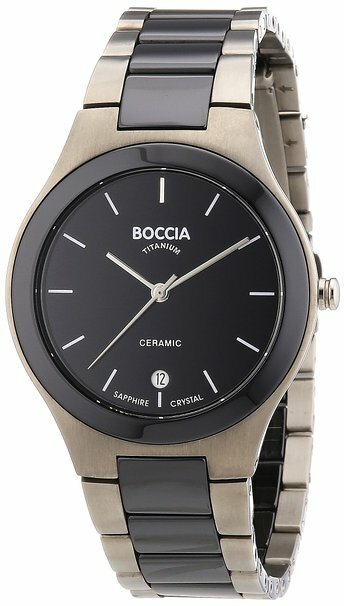 Here we have another high quality titanium watch from Boccia, who specialize in them. The watch has a titanium and ceramic build which are too great materials when it comes to watchmaking. This model also runs on a quartz movement and has a 50m water resistance rating. The black ceramic bezel adds a nice finishing touch to this stunning timepiece. 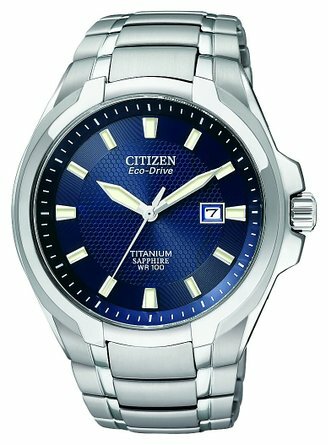 Up next is another titanium Citizen watch, this time with more of a sports style to it. It has a nice PVD gold detailing to the bezel, push buttons, and dial that I like the look of. 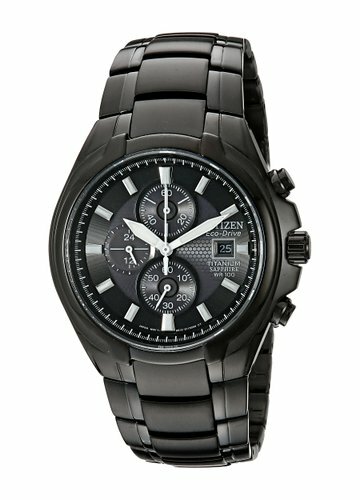 As with the previous Citizen watches, it features a chronograph Eco-Drive movement and never requires a battery. The casing and strap are both made of titanium making the watch lightweight yet strong. The watch also has a rather decent 100m water resistance rating. 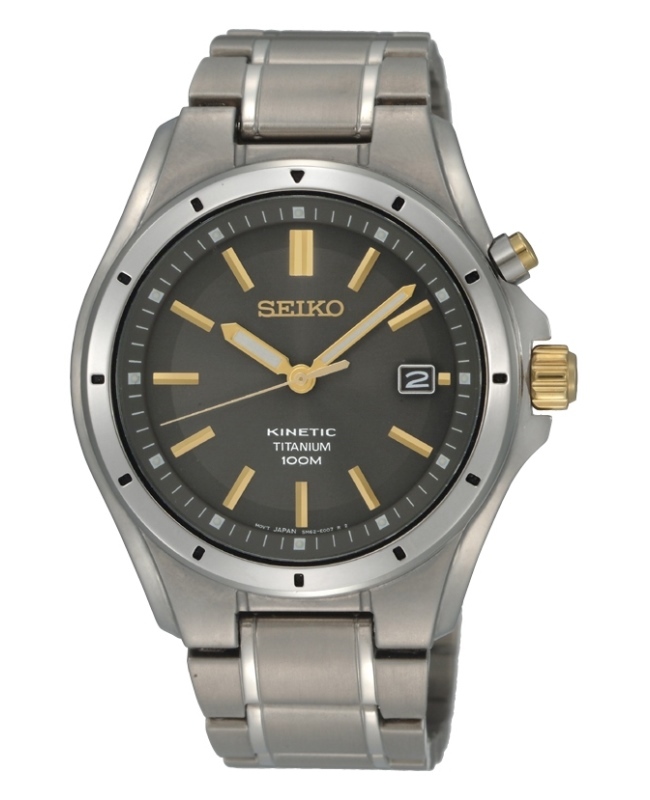 Seiko have created this brilliant titanium watch that features their Kinetic movement technology. The watch charges itself up similar to an automatic movement, but instead of winding a spring, it charges a battery. This battery is then used to run a quartz movement. The key benefit with this is the much higher power reserve, some can even last months. It has a nice grey bronze dial colour with a simple date function on display at the 3 o’clock position. This model has a mineral crystal glass and 100m water resistance rating too. 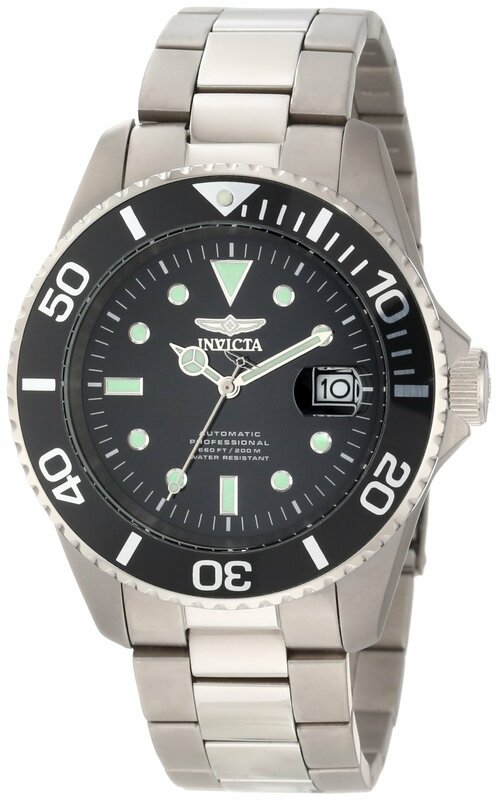 The final watch on show is this titanium automatic watch from Invicta. It features a decent 24 jewel automatic Japanese movement that never requires a battery as it’s powered by the movement of the wearer’s wrist. The watch has a durable mineral crystal glass and well as an impressive 200m water resistance rating. I really like the overall style of this timepiece, the large bezel and clear luminous hands and hour markers make it ideal for most occasions. Well there you have it, 11 of the most popular titanium watches currently available. What’s your favourite? Let us know in the comments or join us on social media! Have a great day.